International collaboration sometimes means staying awake until late at night - or getting up in the middle of it: the party in Cadarache attending the IO-DA meeting in Hefei, China. At five in the morning, the going gets tough. Heads become heavy and a bed would now be very much preferred to the hard seats in meeting room 110. 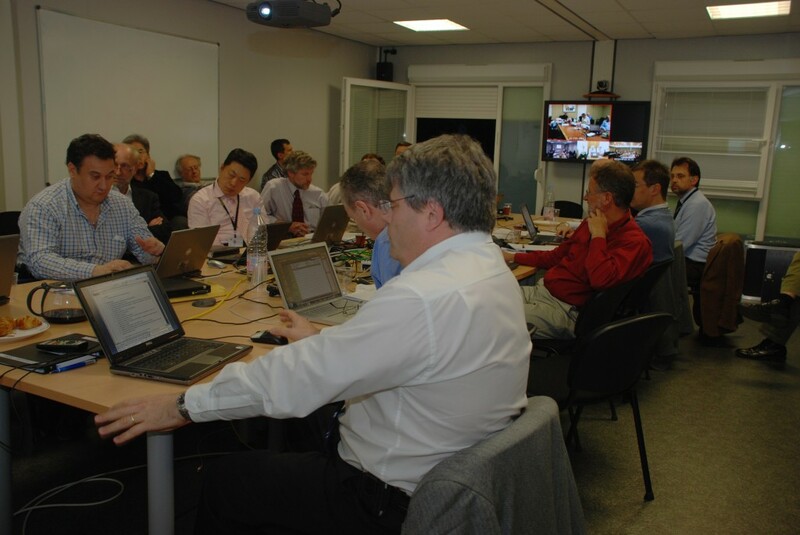 Last Wednesday, the lights turned on at three o'clock in the morning in the ITER offices in Cadarache, just as Principal Deputy Director-General Norbert Holtkamp opened the IO-DA Meeting 16.000 kilometres away in Hefei, China. At the same time as the video-conference party in room 110 headed into the morning, the group in the US ITER office on the other side of the planet, in Oak Ridge, Tennessee, struggled to stay awake as the clock passed midnight US time. And as the IO-DA meeting continued the next day, the remote attendees in East and West convened again in front of the video screens the next morning - or evening, respectively. International collaboration takes its toll from time to time - with or without the inventions of modern communication.